At about noon on Monday, June 1, Toronto chief planner Jennifer Keesmaat was summoned to Mayor John Tory’s office. About a week before that meeting, Ms. Keesmaat, the “star bureaucrat” hired by the city just three years ago to much fanfare, had come out publicly in favour of removing the eastern portion of the Gardiner Expressway – placing herself directly at odds with the mayor and his “hybrid” preference. In the days since, she had tweeted frequently in favour of her position. But her last tweet on the issue came at 7:37 on June 1, just hours before meeting with the mayor. Since then, her Twitter feed has been silent on the subject of the Gardiner. Exactly what was said in that meeting – also attended by acting city manager John Livey (her supervisor) and staffers in the mayor’s office – is unknown. Ms. Keesmaat has refused to comment publicly on the matter. Sources with knowledge of the meeting said she was not specifically told to refrain from speaking about the Gardiner. Still, the sources said, it was made clear to Ms. Keesmaat in the meeting that the mayor found it inappropriate for her to debate him publicly. Since then, the normally high-profile and media-friendly bureaucrat has not made public comments on the Gardiner outside of the council chamber. She has also turned down repeated requests for interviews. The incident underscores a growing tension between the mayor’s office and Ms. Keesmaat – a rift that has, in past weeks, divided councillors and led to widespread speculation over her future at City Hall. The rift also highlights the tenuous support for Mr. Tory’s position on the Gardiner – which squeaked by in council by a three-vote margin, a defining moment in his young mayoralty – and the pressure bureaucrats felt in stick-handling the politically sensitive issue. Since her hiring in 2012, Ms. Keesmaat has been a divisive figure at City Hall. Her advocacy for bike lanes and transit put her at odds with the previous mayor, Rob Ford, too. 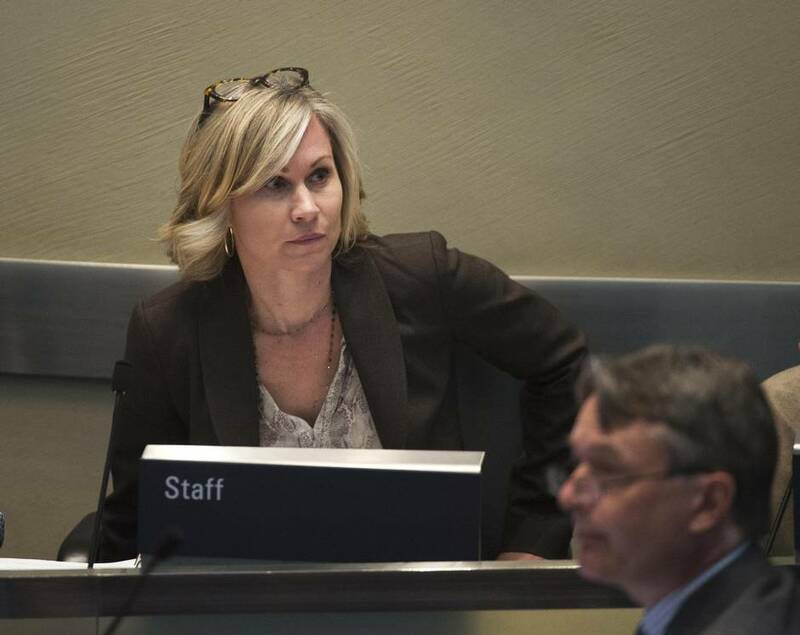 Under the city’s administrative structure, Ms. Keesmaat reports not to the mayor, but to the deputy city manager, who then reports to the city manager. Councillors who support her speak of her as a tireless champion for transit, cycling infrastructure and mixed-use communities. At just 45 years old, she is the city’s first-ever female chief planner and has made significant strides to raise the profile of the planning department through her countless public appearances. But her council critics question her outspoken views and whether she crosses the line between advocating and politicking. Those councillors point to Ms. Keesmaat’s social-media activity, including a 2012 tweet calling councillors’ speeches “insufferable,” and tweeting directly at Prime Minister Stephen Harper to advocate for transit. 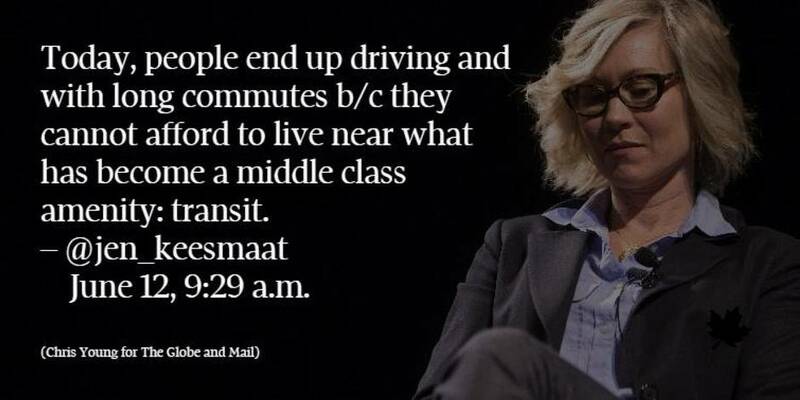 Ms. Keesmaat declined to speak with The Globe, except to say that she feels she has not crossed any lines on the Gardiner. “My role is to provide a professional recommendation based on due diligence and analysis. I’ve done that,” she said earlier this week. Still, councillors question whether she goes too far. Nick Kouvalis, the mayor’s former campaign mastermind, even floated the accusation this week that Ms. Keesmaat has plans to run for office herself, in a string of tweets attacking the planner. Though Ms. Keesmaat has a husband who once ran for city council and spent time herself more than a decade ago working as an assistant to Councillor Joe Mihevc, the councillor said she has no political ambitions. A senior Liberal source said the party approached Ms. Keesmaat about six months ago about running for a federal nomination, but that she declined the offer. 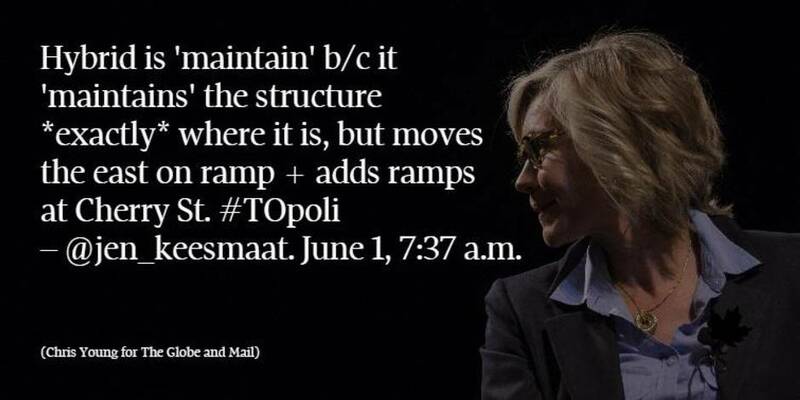 The most recent Gardiner incident was not the first time Ms. Keesmaat has rubbed the new mayor the wrong way. Her advocacy for a downtown relief line subway, despite SmartTrack being Mr. Tory’s stated priority, has irritated the mayor’s office, sources said. 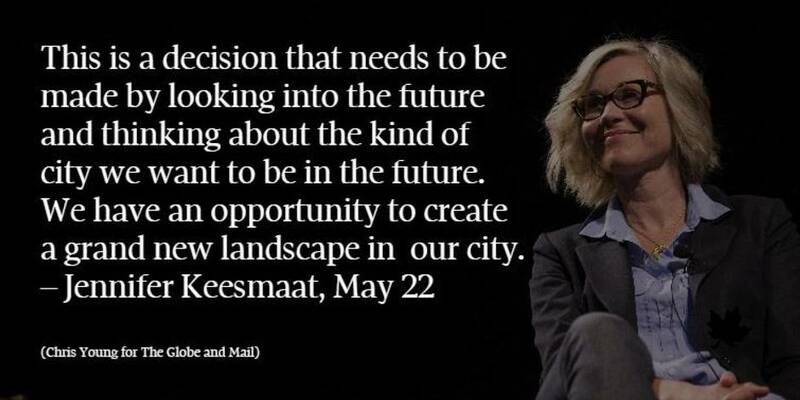 And at an event hosted by the Urban Land Institute in March and attended by hundreds, Ms. Keesmaat took to the microphone to correct Mr. Tory after the mayor answered a question onstage about the planner’s budget. After the mayor attempted to clarify his answer, she corrected him again, resulting in embarrassed laughter from the audience. In light of Ms. Keesmaat’s recent silence, several councillors voiced alarm at what they view as the mayor’s attempt to muzzle city staff. Amanda Galbraith, Mr. Tory’s spokesman, said the office respects the opinions of city staff like Ms. Keesmaat. “I may have sounded a bit like I think the planner is a facilitator of city building. I wouldn’t want to leave you with that impression,” she said. “A planner is an expert. A planner brings expertise into the conversation.” Still, just moments later, when asked about her views on federal funding, she demurred. “I can’t answer that question, because I’m a bureaucrat,” she said.